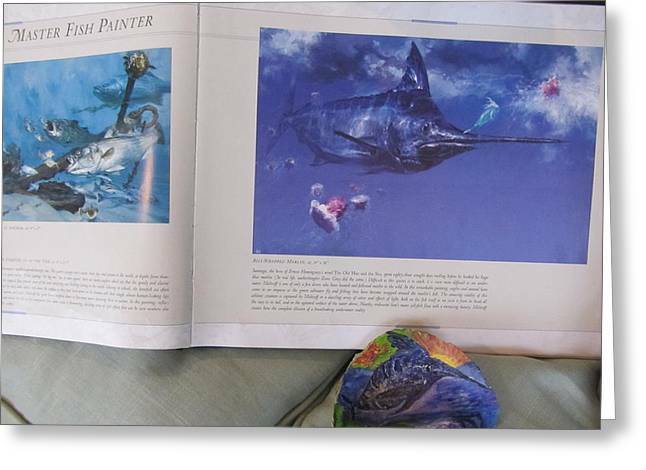 Marlin On An Oyster Shell is a photograph by Debbie Nester which was uploaded on August 26th, 2013. 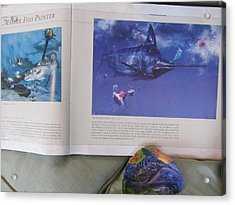 This is a Mixed Media piece of Fine Art showing the Marlin in the sea in a sunset scene, coming up from the depths of the Ocean. 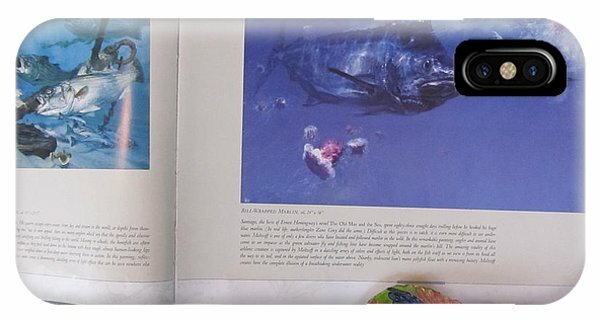 I painted the Marlin as a modification of the Marlin shown in the book. 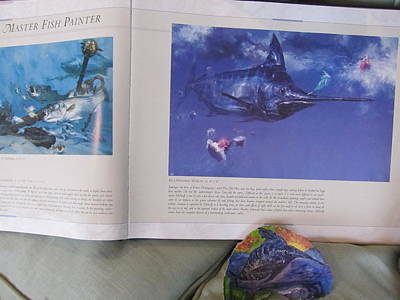 Line up the eye of the Marlin I painted with the eye of the Marlin in the Book and see the resemblance - it looks like the Marlin I painted is the baby of the Marlin in the book! 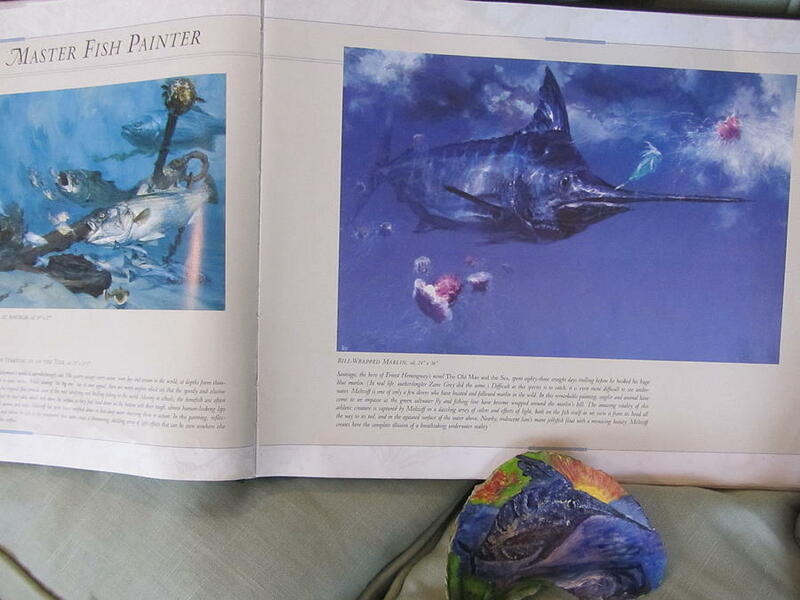 The book is entitled "Bound for Blue water," and credit goes to the author of that book for publishing it. 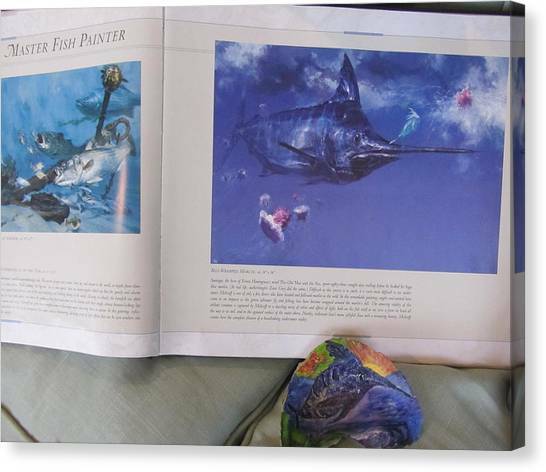 I hope you enjoy my Mixed Media, Acrylic with Watercolor Painting of a Marlin, painted on an Oyster Shell. 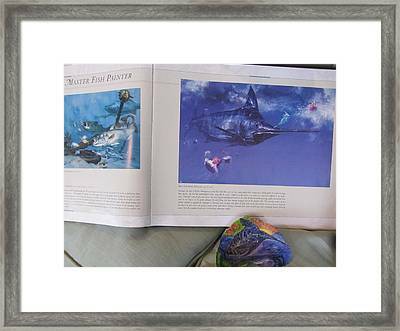 Prices lowered for this Unique Fine Art! 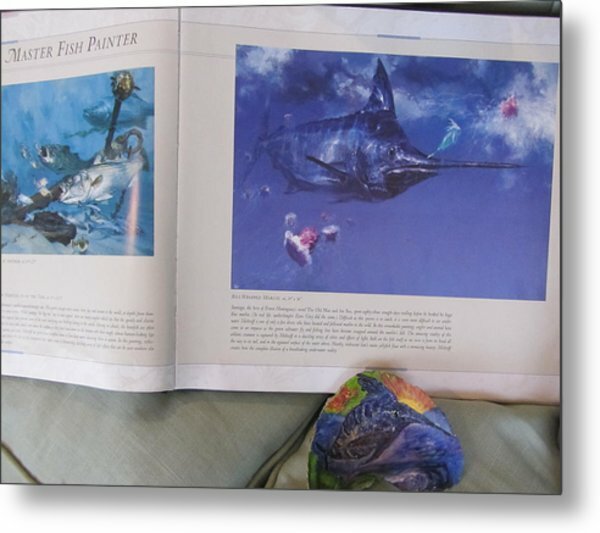 A poem I just wrote to go with this Fine Art piece depicting the Acrylic with Watercolor painting of a Marlin on an Oyster Shell I painted and the picture of the Marlin in the book I looked at as I painted it: Marlins are magnificent fish - with strength and sword of defense- they swim - their beauty unsurmised - never ending - mastery of the sea. I also have the original painted Oyster Shell available. 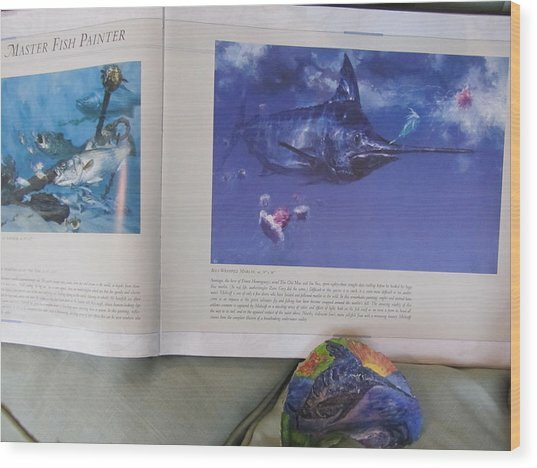 This is a unique creation: photography mixed with a Mixed Media Acrylic with Watercolor Painting on a Clam Shell which includes the Book the Painting was created looking at in the Photography.